1) with polarity as indicated. the second hand on the correct second. 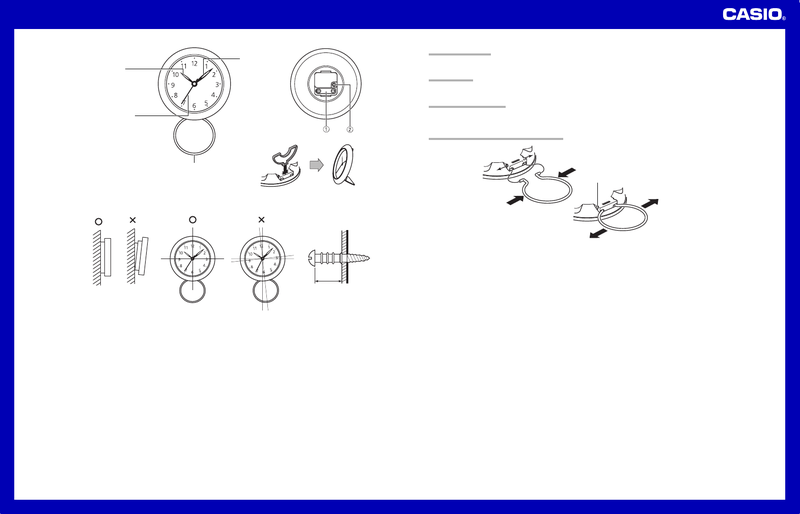 ends of the ring into the holes of the clock as shown in the illustration, and then release. Insert into holes and release.